Recent riots in the country were quite severe but have now calmed down and our work of evangelism continues. 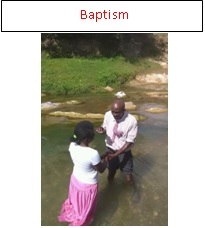 Baptisms–338 – TV Programs 2 –Radio Ministries 2- Gospel meetings 4- New Bible Correspondence lessons–300 –New Preaching School students—53. During the last 32 years our goal was to bring the name of Christ where there were no churches of Christ throughout Haiti. While that is still our goal today, our efforts have doubled to revive and strengthen the churches now in existence throughout southern and central Haiti. 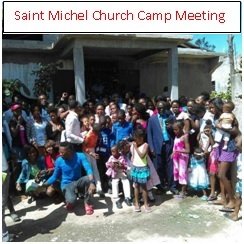 In February 2018, a group of 108 members from 15 churches organized a camp at Saint Michel to revive the churches in the area. After we graduated last December 36 ministers in our School of Preaching, we are working with these ministers to help them reach out throughout Haiti to preach and strengthen congregations. 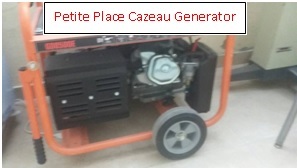 43 Churches of Christ cooperated together to finance a generator, water cooler, PA system, etc. 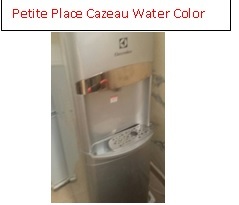 for the Petit Place, Cazeau church. Churches were happy to share in this endeavor. Our Preaching School organized classes for 53 new students. We are looking for preachers who might come to Haiti to teach these students such subjects as Biblical Archeology, Biblical Geography, Mission Methods, etc. We identify with our Dominican brethren. 17 Haitian churches are begging us to come and train them. We are praying for funds to be able to boost the churches in Dominican Republic in their effort to preach sound doctrine.